Before you buy tires in Springfield, VA, it pays to become an educated auto consumer. Come to Wiygul Automotive Clinic to learn why a well-selected and maintained set of tires is the front line of auto safety defense. Find out how checking the tire pressure once a month delivers increased fuel economy and saves you money. When you buy tires, purchasing a matched set offers optimum handling and precision stopping in all road conditions. When you buy the right tires in Springfield, VA you will immediately notice increased comfort, a smoother ride quality, and state-of-the-art tire performance. Understanding the right tire information can make buying tires easier. We’ll answer your questions, help you find your tire size, and decode tire sidewall codes. The ASE-certified and factory-trained professionals at Wiygul Automotive Clinic will explain the differences between different types of tires and do whatever we can to help you buy tires in Springfield, VA that keep you safe every single time you drive down the roadway. Your auto manufacturer has made a recommendation about the size and type of tires that work best with your vehicle. You can locate that information in the owner's manual and on the information placard affixed inside the seam of the driver’s side door. 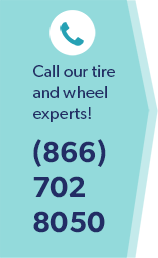 The tire experts at Wiygul Automotive Clinic Tire Center will decipher the tire codes, and know which tires are a good fit for your vehicle based on the Original Equipment (OE) installations and the auto-maker’s recommendations for replacement. With expert guidance you will decide between summer, all-season and winter tires; between extended tread life and better handling, all within your pre-determined budget. You will be 100% confident when you buy tires in Springfield, VA, knowing you were fully-informed and well-advised by the tire experts at Wiygul Automotive Clinic Tire Centre.